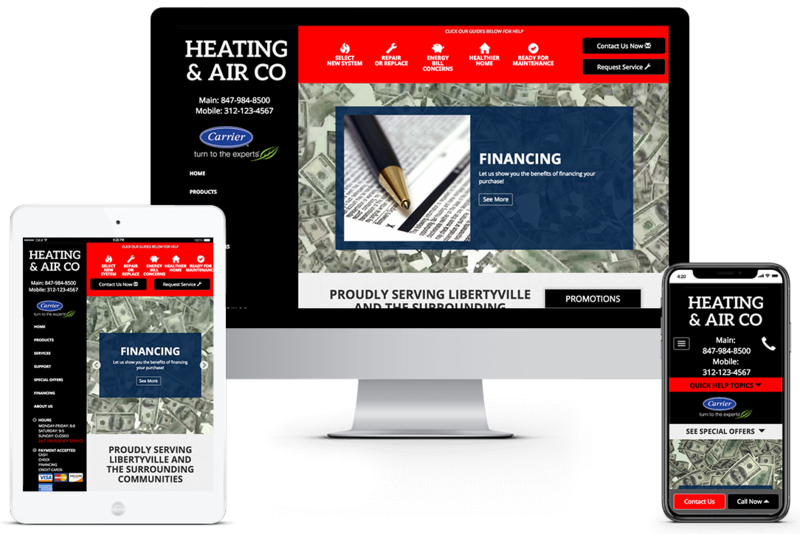 Select On Site provides website marketing packages to over 700 U.S. and Canadian HVAC dealers, offering a variety of design styles, functionality, and content. For over 10 years, Clicks Web Design has provided a dedicated team of web developers to support the volume of websites created for Select on Site. In addition to creating 15 website design templates for dealers to choose, Clicks Web Design created and continues to manage the custom CMS backend system used to maintain every Select on Site’s dealer information. 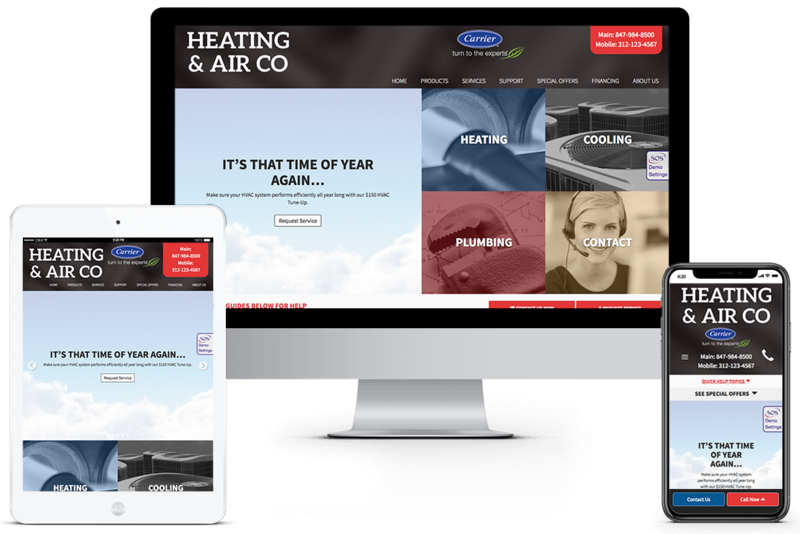 We also designed a huge HVAC manufacturer product database used to populate dealer-specific product tables so dealers can easily showcase what they offer. In 2015, Clicks Web Design added a dealer video program to expand the marketing options Select on Site can offer its customers. Our latest expansion of services includes the development of an app designed to provide Select on Site’s dealers with the ability to generate online reviews and jobsite check-ins in order to expand and attract new customers. 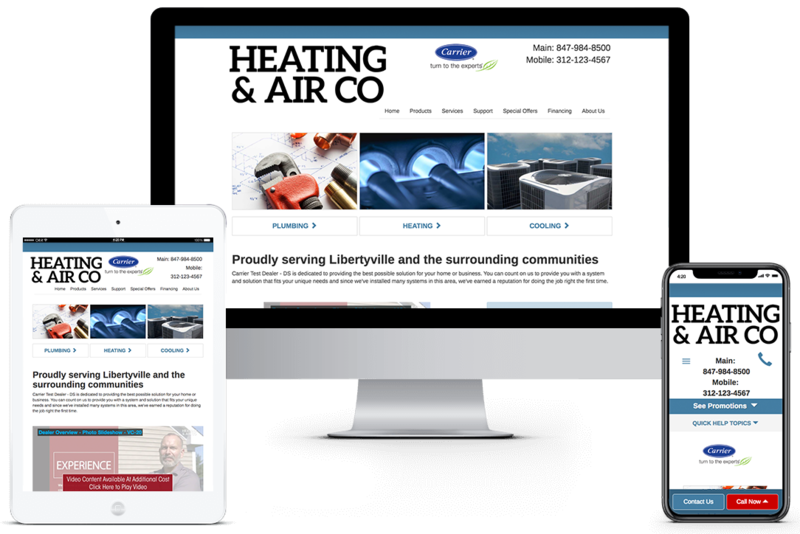 Using the products of several national HVAC manufacturers, Clicks Web Design created a database of products that are easily compiled into Product Tables based on the dealer’s offerings. These product tables react responsively within the page and are linked to manufacturer’s brochure information. 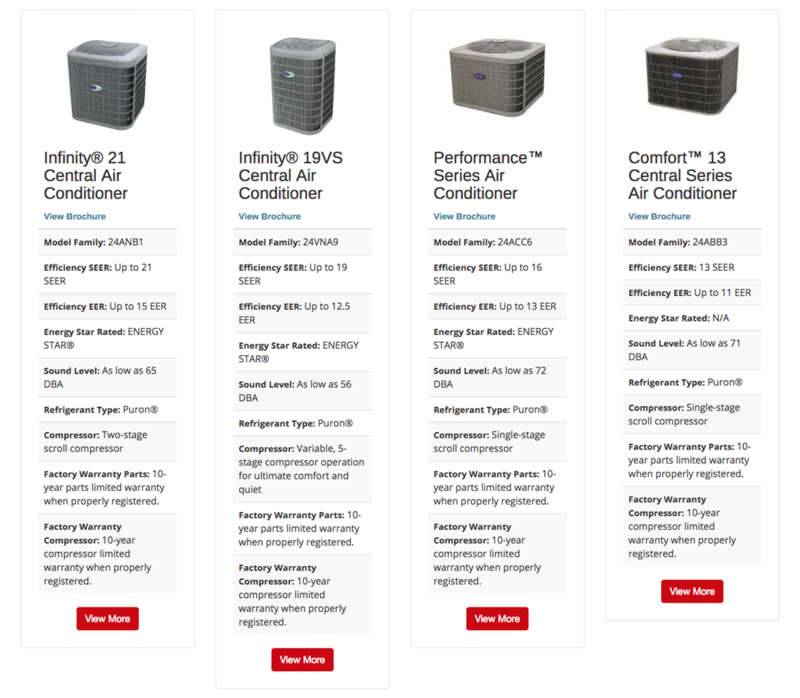 Select on Site’s use of product tables gives them a visible advantage over their competitors. 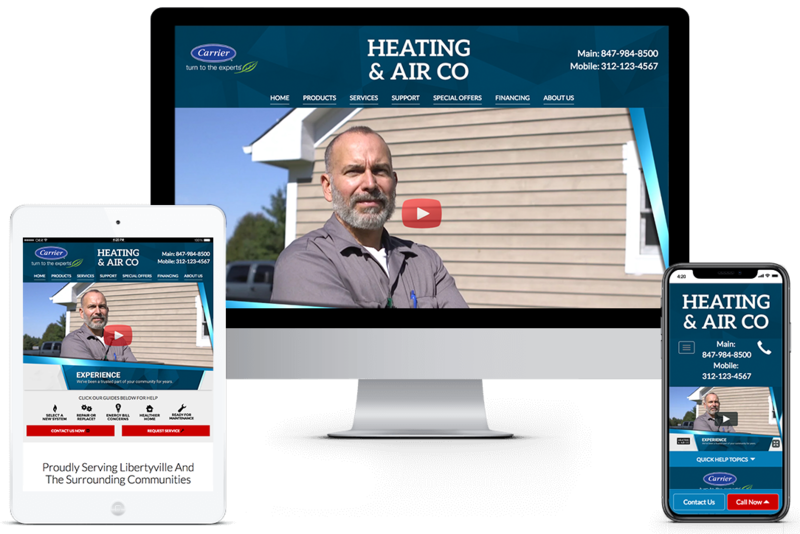 Clicks Web Design created a series of generic videos that can be easily customized with branding specific to each Select on Site’s dealer. These videos create additional marketing options Select on Site can offer their dealers so they can stand out and get noticed. A live action video customized with the dealer’s spokesperson, logo, phone, and branding colors as well as customized text animation set to a customized music track. A cartoon animation video up to 60 seconds in length, used to promote the benefits of service agreement contracts. Select on Site dealers have a library of characters to choose from as well as specific dealer branding choices like logo, phone, and branding colors set to a customized music track.